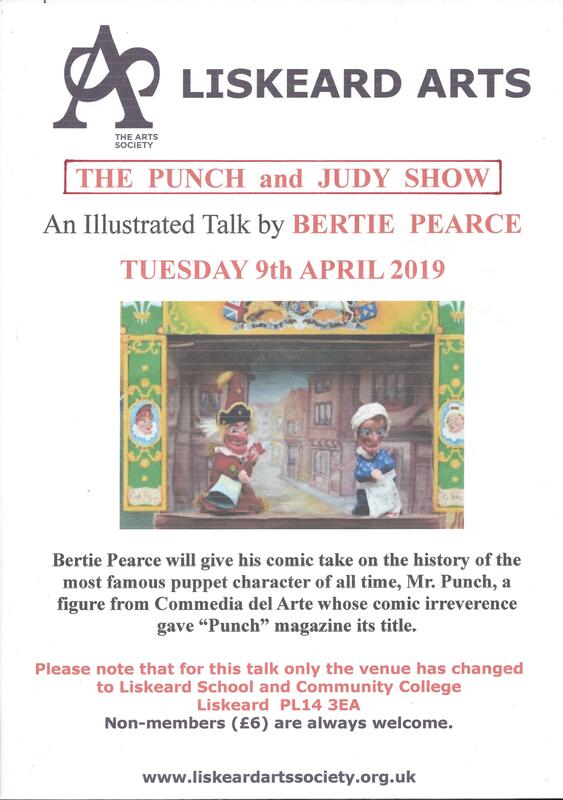 The Punch and Judy Show by Bertie Pearce. 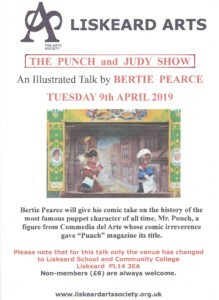 The inimitable Bertie gives his comic take on the history of the most famous puppet character of all time, Mr Punch, a Commedia del Arte figure whose comic irreverence gave Punch magazine its title. That’s the way to do it! Please note for this month only the venue has changed to Liskeard School and Community College, 7.30pm – refreshments are served from 7pm.